Celebrate Life: being a "D"
I absolutely LOVE being a "Davis"... I'm at the beginning of the alphabet (used to be smack dab in the middle), it's an easy name to pronounce, it's short, and most importantly, I adore being a part of my husband's family. When it comes to adopting a little one... we have absolutely NO idea what their name is going to be, or if we'll even re-name them. We've talked about names that we LOVE, but until we meet our little one (s), we refer to them as "little Davis"... because that I know for sure, is what they will be. 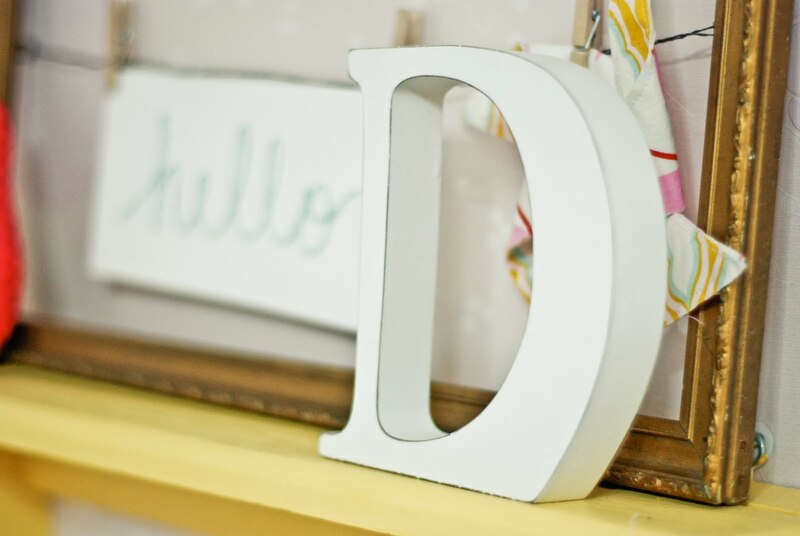 I purchased a "D" not too long ago, to put in their room, on their shelf. Hopefully I can add another letter or two to the room soon enough. Last week we hit a little hiccup in our adoption. We don't know specifics... yet, but while we were supposed to hear about our possible travel date any day, it's possible for our adoption to have been pushed back just a little more. It seems as though Ukraine's government is trying to switch over the "power" of adoptions to another part of government, and after passing along paperwork and cases, it'll take time to transfer all this responsibility to someone else. Not quite sure on exactly how it's going to effect our case. According to our case manager, Ukraine's SDA has nearly finished, if not already finished, registering our dossier. Pray that we'll hear from them soon... that we may receive our travel date any day... we're anxious, and we're so desperately wanting to meet our "little Davis" that God has chosen for us. Just wanted to keep everyone updated, but you can also read about it all here. I've been praying for you guys, Karen! Will be praying for patience as you wait to hear. I can only imagine how anxious you are to go travel and find your little one! 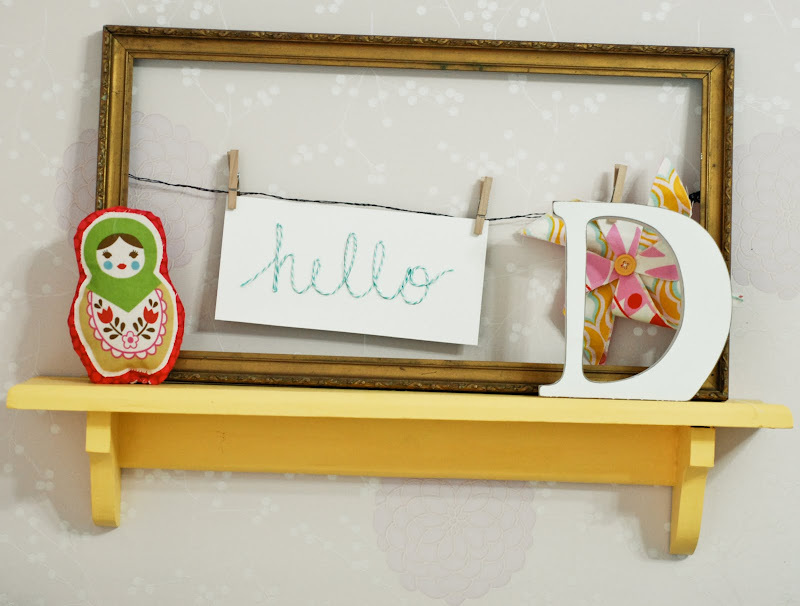 What a sweet little shelf!!! I hope all goes smoothly in your adoption!!! I'll be praying for you! 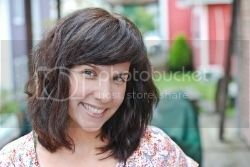 Thanks for being a beautiful witness to life! im a D too! My intials are CD - together with word art they arent very interesting! And my bf is a DB.. again.. not that interesting! maybe the B...im a big fan of ampersands! i hope you hear from the ukraine soon! praying for you as you wait out the process! praise God that His timing is perfect! also i love that you found a D that is flat on the bottom! :) my last name used to start with a C & now i'm an S and i can never find my curvy letters with flat bottoms! !